XLVIII Zakopane School of Physics will be held in Zakopane (Poland) from 20th to 25th May, 2013. 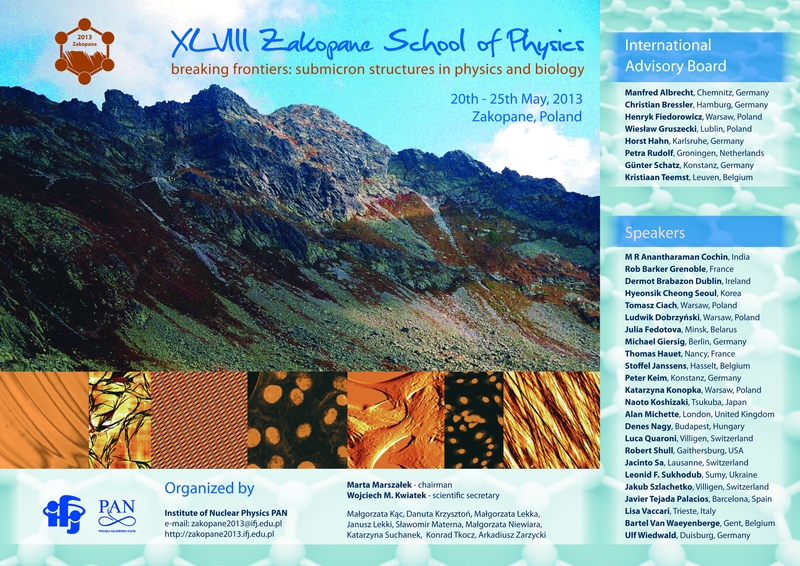 The symposium is organized by the Institute of Nuclear Physics Polish Academy of Sciences in Krakow. X-ray and particle micro- and nano-beams, sample preparation. * Accomodation place New this year!